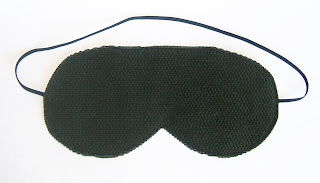 So I thought I'd make some sleeping eye masks. And for some reason I bought black elastic, even though most of my fabric scraps are light colored, and even though I bought a soft yellow satin for the back side. 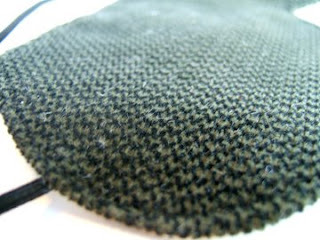 So all I could dig up that would look good with the black elastic was this olive green and black corderouy leftover from last year's Christmas stockings. 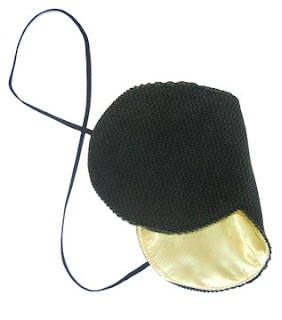 And so I call it a manly mask. It really should have had black satin on the back, but I was just working with what I had. This was really just a prototype anyway.... that's what I tell myself.